Gone are the days when family violence was largely regarded as a private matter to be kept behind closed doors. And thank goodness for that. People generally understand now that it is essential to support people in leaving their abusers. This is the first and most important step in breaking the cycle of violence, which has far-reaching impacts on the community at large. There are plenty of articles and conversations about the signs of abuse, what to do if you suspect a friend or loved on is being abused, and what healthy relationships look like. But escaping abuse is only one small piece of the very big puzzle of life one must put back together after a toxic relationship. Did you know that while many abuse survivors don’t have jobs due to financial abuse, many others are forced to leave their jobs when they get out of abusive relationships? If an abuser knows where a survivor works, it can be dangerous for that survivor to remain employed there. We saw the tragic reality of this recently, when Dr. Tamara O’Neal was shot and killed by her ex after breaking off their engagement. Her death sent shock waves through her community in Chicago and across North America. It highlighted the fear and stress so many abuse survivors live with every day. It also got people talking about the important role employers have in protecting abuse survivors and the people around them. Women shouldn’t have to leave their jobs and all facets of their lives behind because of abuse. Companies can help alleviate that pressure by putting in place strong policies to support employees experiencing domestic violence. These policies can help employees feel safe to come forward about abuse, protect the survivor and their colleagues, and support survivors in accessing resources and emotional support. A good domestic violence policy should include the following: training for all staff about the signs of domestic violence; emotional supports in place for workers, such as an employee assistance program; a commitment to keeping a survivor employed while prioritizing their safety; flexibility around work hours to allow a survivor to alter their schedule from what their abuser was familiar with; paid leave for domestic abuse survivors; and a safety plan template with resources for people experiencing abuse. Western Centre for Research and Education on Violence Against Women and Children has compiled a handy list of employer tips for dealing with domestic violence as well as a guide to help employers develop a domestic violence policy. These are incredible tools made available to the public. One in five women experience intimate partner violence. This is a significant portion of the workforce. It just makes sense to have supports in place to keep survivors and the people around them safe. We need to prevent women from being fired or forced to quit their jobs because they are being abused. We encounter far too many women here at Interval House who wind up jobless because their employers are unprepared to face the impact domestic violence can have on their workers and workplace. Even though we’ve moved past thinking family violence should stay behind closed doors, we still have to catch up when it comes to developing employment standards that help rather than further victimize survivors. It’s unacceptable that when a woman finally leaves abuse behind, a moment that should be so freeing can often be very limiting. Without a home or job, life is a struggle. Add to that struggle the immense work of healing from trauma at the hands of the most trusted person in one’s life and the barriers to achieving self-sufficiency can seem insurmountable. 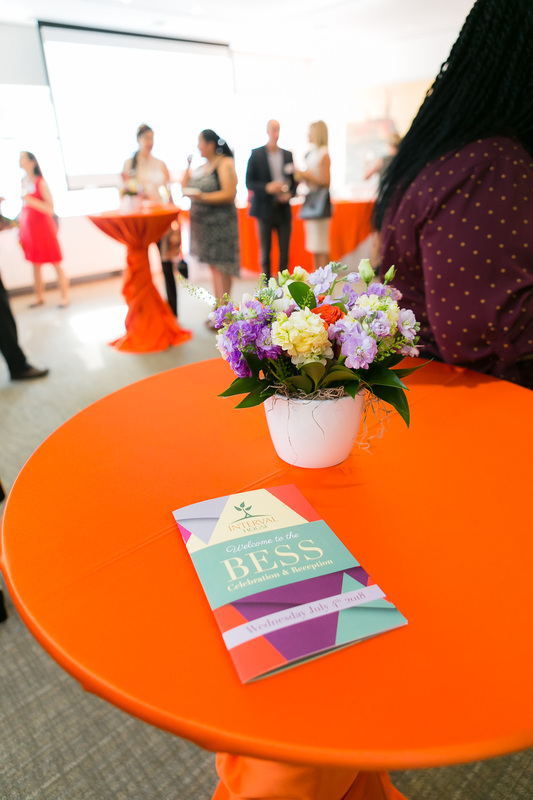 Not wanting to see women victimized and then left behind, the employer partners that are connected with the Building Economic Self-Sufficiency Program (BESS) are true leaders in the campaign to end violence against women. They hire BESS clients, fully aware of their experiences of abuse, prepared to support them as they regain their financial independence. These employers demonstrate how taking a chance on someone who has overcome trauma can be so rewarding for both the employee and the employer. Women who have been through so much finally have powerful advocates in their employers and they are able to focus on something other than mere survival. They finally have their autonomy and are empowered to take pride in their work and their lives. When people feel valued, they work hard and give back. The BESS employer partners recognize this and are highly satisfied with their partnership with Interval House. Provinces also have a role to play in supporting survivors in the workplace. Saskatchewan recently legislated 10 days of protected leave for workers experiencing domestic violence. A move like this really helps destigmatize abuse survivors by acknowledging their unique needs and promoting the importance of protecting them. Having this leave time can allow survivors to move away from their abusers, attend court dates, and take some personal time to heal after abuse. When the government steps up and prioritizes personal days for people escaping violence, it sends the message to employers that the ethical thing to do is grant leave in these extreme circumstances. It is not special treatment but a necessary provision for those who have endured unspeakable violence at the hands of a loved one. Abuse can happen to anyone. It can have devastating effects on a person’s wellbeing and independence. The more we can reduce barriers, the less survivors will have to suffer through their healing. Now that friends and loved ones have stepped up to play an important role in ending abuse, it’s vital that we face the new frontier—the workplace. Employers have a responsibility to recognize the critical role they play in keeping their employees safe. Helping survivors benefits the whole community and brings us closer and closer to ending the cycle of violence, for good. Today, October 17th, is the International Day for the Eradication of Poverty. Here at Interval House, we see survivors come from all walks of life with hopes of a future for themselves and their children that is not dictated and threatened by their abusers. Intimate partner violence doesn’t discriminate; it can affect people from diverse socio-economic backgrounds. However, in the campaign to end intimate partner violence, and violence against women, we cannot ignore the increased barriers that women, non-binary and transgender survivors of colour who are living in poverty face as they attempt to rebuild their lives and break the cycle of abuse. For intimate partner violence to be eradicated, we must address systemic poverty and a lack of accessible social services. Municipal, provincial, and federal poverty strategies must be developed with input from the affected communities to address the specific needs of vulnerable sections of the population, such as Indigenous peoples, racialized communities, and survivors of intimate partner violence. In the Interval House Barriers Report our team researched and identified the barriers to employment and employability that abuse survivors can face. Two of the most significant barriers to economic stability and comfort are access to affordable housing and childcare. These two barriers in particular can obstruct a survivor’s ability to gain and maintain secure employment and can perpetuate poverty for the whole family. At Interval House, our goal is to support our clients in overcoming their experiences with abuse and becoming empowered and self-sufficient in their futures. For a survivor living in poverty who lacks the means to keep a roof over her head or food on her children’s plates, remaining in, or going back to, an abusive relationship may feel like the only option. In that way, poverty can exacerbate the disparity of control and power that is fundamental to abusive relationships. This reality underscores the fact that access to subsidized housing and childcare can not only help bring a family out of poverty, it can also help end the cycle of abuse. Right now, the average cost of a one bedroom rental in Toronto is a staggering $2,220. In December 2017, the median cost for infant care in Toronto was $1,758 a month. For many women who have bravely fled abusive relationships, this price tag is an impenetrable barrier keeping them below the poverty line and dependent on a social assistance program that itself is criticized for making it very difficult for people to become self-sufficient. A national affordable housing strategy that names housing as a human right and an affordable childcare strategy are the most effective ways the government can act to lessen the pressure on vulnerable individuals and populations. These supports could empower those who have lived through severe trauma to regain their independence and rebuild their lives. It’s so important to acknowledge the connection between poverty and intergenerational family violence. By advocating for poverty reduction strategies and investing in social programs, we can foster peaceful societies, and communities where vulnerable populations are supported and the cycle of abuse is broken. Over the past few weeks, the news has been particularly triggering and re-traumatizing for anyone who has experienced sexual or intimate partner violence. Healing from trauma is not linear and it can feel regressive for survivors when details of violence in the news cycle transport them back to their own difficult experiences with abuse. Complex post-traumatic stress disorder, anxiety, depression, substance use disorders, and eating disorders are just some of the mental health challenges that may result from abuse and sexual assault. A triggering event can bring a sudden onslaught of symptoms, even after a survivor has gone months or years feeling stable and grounded. It’s a difficult and frustrating experience that may call for professional counselling and sometimes even medical attention. Regular self-care can help survivors manage and maintain their psychological wellness to lessen the effects of triggering events such as difficult world news or witnessing violence. It’s a good idea to take a little bit of time each day to do something for yourself, to maintain a grounded, present state of mind, or to hedge an oncoming bout of anxiety. Self-care is an important part of mental healthcare. For World Mental Health Day, let’s focus on 5 self-care practices that can easily be incorporated into a daily routine. When life seems full of darkness and you start to lose track of what’s good in the world, a gratitude journal can help you refocus on the positive things in life. Not every day is a good day, but there is good in every day. Take a moment each day to jot down a few things you are grateful for. It can be as simple as how nice it feels to hold a warm cup of coffee in the morning or the way your houseplants bring a pop of colour into your life. Having a gratitude practice is proven to benefit you both physically and mentally. Focusing on what you’re thankful for can lift your spirits and motivate you. You only need a couple of minutes each day to have a gratitude practice. Everyone knows that regular exercise is good for the body and mind. But sometimes, strenuous exercise can exacerbate an anxious state of mind by bringing up your heart rate and tricking your body into thinking there is danger present. If you are prone to anxiety or panic attacks, try introducing a gentle form of exercise such as yoga, tai chi, or leisurely walking into your daily routine. Gentle exercise still does wonders for your body while also keeping your heart rate at a manageable level. It promotes rhythmic breathing that can calm anxiety symptoms. It’s easier to maintain regular exercise when you have a routine, so try to choose a time each day to exercise. Maybe before or after work is good for you, or during your lunch hour. You might just find it boosts your energy for the rest of the day. The human brain processes more information each day now than ever before. With so much going on in the world and a 24-hour news cycle, the brain seldom gets the rest it needs. You may find yourself constantly thinking about what you heard on the news or what there is to be done and that may be keeping you from living in the moment. What’s also interesting is that silence is actually very important for the brain. It gives the mind a chance to process information and decompress tension. A meditation and mindfulness practice can help you incorporate more silence into your life and be more present in the moment. You may choose to meditate in a seated position with your eyes closed or to instead do active meditation, like walking mindfully. Find what works best for you. If you’re new to this practice, there are many free apps that can teach you the basics and help you establish a routine. Headspace and Insight Timer are two popular ones you can download to your device and access daily. When it comes to mindfulness, the more time you take for it, the better. Still, one minute is better than none. Human connection can’t be underestimated. Sometimes in the hustle of daily life, it can feel like you have to do it all on your own. But you’re not alone. Taking a few moments each day to check in with a friend can be a great way to remember that you are connected and supported. Whether you talk on the phone, meet up for coffee or a meal, or just have a conversation over email or text, talking to a friend is a great way to lift your spirits, calm your mind, and keep you rooted. If the news and noise are keeping you up at night, maybe it’s time to disengage for a while. The news will still be there when you want or need it but being constantly informed can be stressful and distracting. You may not have the luxury of disengaging from social media and the news for long stints of time but there are still ways to cut back and give your brain a break. Try limiting your screen time after work hours or not using social media at certain times like on the weekends. There are a number of apps out there that can assist you in going offline. Doing this might also help you find time for other self-care activities, leaving you refreshed and re-calibrated. These are just a few of the things you may want to try to do daily for your own peace of mind. Find what works for you in the right balance and make a habit of it and before you know it, a daily self-care routine will be second nature for you. In a busy world, it’s so important to remember to put yourself first so that you have the energy and mental capacity to be there for everything and everyone else that demands your attention. When you do what you can to build yourself up, you are so much more resilient in the face of life’s challenges. If you are having a mental health crisis, please seek professional help. Across Ontario, women who have experienced abuse are finding it increasingly difficult to access safe, affordable housing. In 2004, Interval House launched a ground-breaking partnership with private-sector landlords whereby housing units were offered to women survivors of intimate partner violence at rent-geared-to-income rates for up to two years. Interval House thanks its founders and participants, past and present. It’s summer time! Here are two creative, kid-friendly recipes to celebrate the magic of summer. Cut lemons in half. Juice each lemon through a strainer into a large measuring cup. Keep juicing until you have 2 cups of lemon juice. Pour water into a medium-size saucepan over medium-high heat. Stir in sugar. Continue cooking over heat until sugar is dissolved and liquid looks clear again. Combine sugar solution with lemon juice. This is a lemonade concentrate. When ready to serve, add water to taste. Add some freezing time to this recipe for a colder version. Spoon into 10 (6- to 7-oz.) cups; top with remaining cookie crumbs. Refrigerate 1 hour. Top with fruit snacks just before serving. Michael Young (Right), founder of Quadrant Capital Partners, and his brother, David Young (Left), playwright and novelist, were co-chairs for Interval House’s Capital Campaign, which raised $5,000,000 in 2004. Interval House was able to buy, rebuild and equip the facility that now houses BESS and the shelter. They dedicate their work on the campaign to their mother’s memory. Toto Young, featured in the portrait in the shelter’s dining area, was an orphan who lived through difficult times. Her story and memory continue to inspire the brothers to support Interval House. 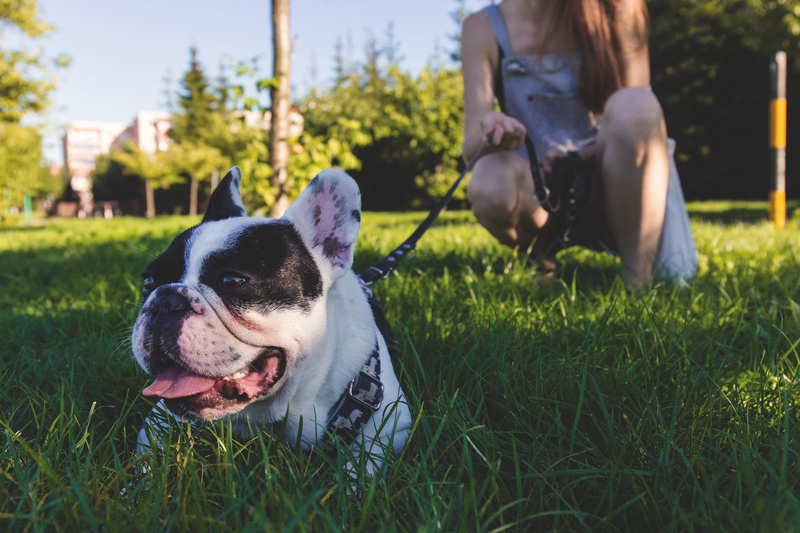 We’re excited to announce the SafePet Program, in partnership with Link Toronto and the Ontario Veterinary Medical Association’s SafePet Network. This new offering will provide peace of mind to women and children at Interval House. We know that a woman is less likely to leave an abuser if it means leaving her beloved pet behind. We have long wanted to remove that barrier to leaving a life of violence and now we have a program that confidentially places the pets of women staying at the shelter in trusted foster homes. The SafePet Program has trained people within partner vet clinics to organize a safe and confidential way for women to deliver their pets to the vet clinic. From there, the SafePet Program places the pets in dependable foster homes until their owners are ready to move into private housing. Women and children can know their loved, furry friends are safe and spend their time at the shelter focusing on their own healing journeys. Women can access the SafePet program through Interval House’s standard admission and assessment process. Gillian Stewart is a compassionate and inspiring donor who gives out of a love for the women and children starting their lives over at Interval House. Gillian describes her own childhood as very unusual. She knew both her parents, but was raised by her grandmother. She rarely saw her father, and her mother tragically took her own life when Gillian was just 12 years old. Gillian knows grief and confusion. Gillian cares deeply about the women and children at Interval House. To show her support, she started out giving small amounts a few times a year, whatever she could manage. Last year, she decided to become a monthly donor, so the families at Interval House could count on her regular, ongoing support. Donors like Gillian make it possible for us to help women rediscover their dignity and self-confidence as they work toward a better future for themselves and their children. We’re so grateful to Gillian and all donors who give so generously. Fred Shayo-Mushi has an incredible job: he teaches kids to play and laugh again. Fred co-facilitates the Children’s Group at Interval House. In deliberate and subtle ways, Fred uses play-based counselling with the children living here with their moms. His creative approach helps them express what they’ve experienced and what brought them to Interval House. Fred is a fun-loving support for these kids. His sense of humour and ease make them feel safe and free to have fun. “Through the activities, through play and interactions, you start to see a little bit of the kid coming out,” Fred says. Fred also models positive relationships between differently gendered people, something many of the kids at Interval House have little experience with. He does this by working cooperatively with his co-facilitator in groups and by demonstrating respectful interactions with the mothers of the kids he works with. He also helps kids practice empathy by helping them care for the pet fish in the Children’s Program room. Fred is an invaluable support for children and their mothers as they transform their lives and break the cycle of violence. There is a direct link between mass murders and misogyny. We write about it all the time when we hear of gun violence in the United States. The link is hard to ignore when you consider that a grand majority of mass murderers are men and most mass shooters in the U.S. between 2009 and 2016 had a history of domestic violence, according to the gun safety advocacy group, Everytown for Gun Safety. The link is undeniable when men explicitly blame women and feminism for their violence, as Alek Minassian did on social media prior to his violent rampage in North Toronto on Monday. It’s only been a few days since the horrific event, when Minassian plowed through a busy pedestrian sidewalk, wreaking havoc on a beautiful spring day. And there is still so much we don’t know. But we do know that Minassian killed 10 innocent people and injured 15 others — most of whom were women. And just moments before he committed this heinous crime, Facebook confirms he posted on the social network about an “incel rebellion,” referring to Elliott Rodger, a man who went on a killing spree in Isla Vista, California in 2014, just after posting a video online about being motivated to kill by his hatred of women. Incel, by the way, means involuntarily celibate. It’s a term adopted by men who feel spurned and blame women for not giving them the sexual attention they feel they deserve and any other problems they may identify in their lives. With the details around Monday’s massacre still so murky, one thing is very clear. Misogyny kills. Toxic masculinity leads men to horrific acts of violence. It’s not just one, isolated incident that leads to this conclusion. Time and again, we see a common thread between men who kill — they hold extremely patriarchal beliefs, they have a strong sense of entitlement, especially when it comes to women, and they blame women for their misfortune in life. Upon learning of the potential motives of Minassian, it was impossible not to recall the massacre at École Polytechnique in Montreal in 1989 when Twenty-five-year-old Marc Lépine specifically targeted female students, killing 14. He said he was fighting feminism for ruining his life. In a society that socializes men to refrain from addressing their emotions in healthy ways, outward acts of aggression occur instead. And while we may not see the same number of mass murders here in Canada that our friends south of the border do (thank you gun control), there is nevertheless a trail of destruction behind men who have internalized toxic beliefs. Every 6 days, a woman is killed by her intimate partner in Canada. That means that so far this year, approximately 20 women have died as a result of just one form of violence against women. We need to look at violence against women holistically. Detaching events like Monday’s van attack from intimate partner violence and other forms of gender-based violence makes it impossible to examine the big picture and the many intersecting ways that sexism puts women’s lives at risk every day. Violence against women is an epidemic and it’s completely unacceptable. In response to the Alek Minassian story and in trying to make sense of the tragedy, there has been mention of mental illness as a possible cause. And while it’s important to assess mental health when a violent crime is committed, it’s also important to recognize that mental illness is not generally the motive for an attack. Mental illness is a broad term that refers to a spectrum of disorders, so you can’t simply point to mental health as a cause of violence. Furthermore, studies show that women actually experience mental illness at rates 20%-40% higher than men. So if that’s the case, why aren’t mass killers predominantly women, not men? Rather than looking high and low for ways to explain senseless murders committed by men, perhaps the media, law enforcement, and politicians should acknowledge what’s right before them. Worldwide, toxic masculinity leads to violence against women in many different forms. There is a range of ways that misogyny and its sense of entitlement results in the psychological destruction and the deaths of far too many women: from street harassment to intimate partner violence to ‘apparently random’ mass murder. The sooner we open our eyes to the connection between toxic masculinity and murder (whether it’s mass murder or not), the sooner we will be able to start finding ways to prevent violence motivated by misogyny.